The wines of Attilio Ghisolfi were recently poured at a media dinner in New York City at Bobby Van’s Grill. The tasting covered a range of wines from the portfolio, and there’s something for everyone there. The winery intentionally is creating some entry-point Barolo and Barbera, as well as high-end single vineyard offerings from prime Piedmont real estate. Founder Carlo Ghisolfi started out by buying a compact, nine acre property in 1895 where he began making wine. Carlo's great grandson Gianmarco along with his father started producing wines under their own label in 1987. Today, this family-owned winery is committed to farming organically, eschewing pesticides and chemical fertilizers in favor of organic soil enrichments. The small winery itself is surrounded by vineyards that fall within “Bussia,” one of the best Barolo cru production areas. 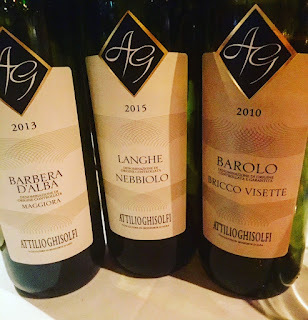 Attilio Ghisolfi Barbara d'Alba Maggiore 2013 - A dark and lovely wine with firm tannins, juicy cherry, and nice acidity. 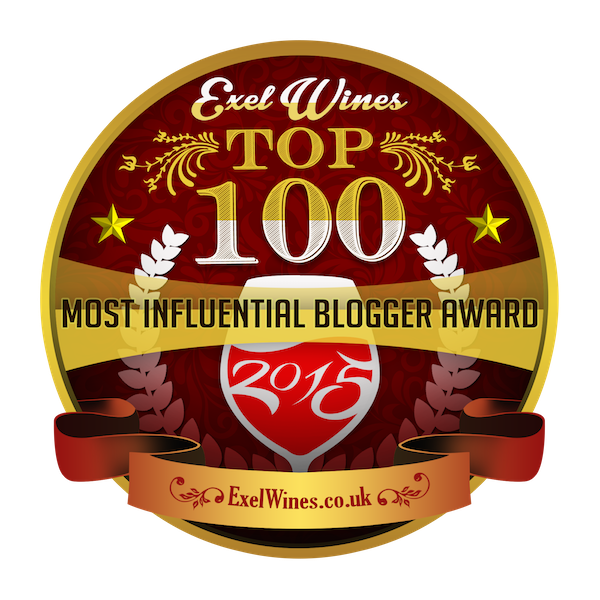 Am a big fan of Barbara d'Alba as a moderately priced, high quality northern Italian red. Attilio Ghisolfi Langhe Nebbiolo 2015 - Fragrant nose of dried cherry and leather, with good acid and a long finish. A delicious entry point to the winery's Nebbiolo-based wines. Attilio Ghisolfi Barolo Bussia 2013 - Elegant wine with dried rose petals, cherries, good acid structure. Grapes are from vines grown in white tufa soil near Monforte d'Alba. Attilio Ghisolfi Barolo Bricco Visette 2013- The 2013 shows good potential for development with ripe cherry flavors, firm tannins, and plenty of acid. The vines used in this wine range from 15 - 50 years old, and the maturation combines large and smaller French oak barriques. Attilio Ghisolfi Barolo Bricco Visette 2011 - Seeing the development from this highly prized vineyard region, which is 300-350 meters high. The 2011 is drinking great now - a rich wine with tart blackberries mingling with the cherries and firm tannins propped up by good acidity. Highly recommend. Attilio Ghisolfi Barolo Bricco Visette 2010 - Nose offers hints of coffee, while palate is bright with lush ripe cherries as well as baking spices. Long finish. At eight years old, this Barolo from the Bussia area is drinking great now, highly recommend. The wines of Attilio Ghisolfi are widely available in both New York and New Jersey. Seek them out for elegant expressions of age-worthy Barolo and delicious Barbara and Nebbiolo.